If you want to expose your child to unique and entertaining toys, light up ceiling toys are excellent options. You’ve probably encountered these toys before, especially when you were a child. If so, you are extremely familiar as to how potentially enjoyable they can be for babies, especially as they grow up. Now imagine those toys actually lighting up your child’s room. Isn’t it lovely? It turns out that light up ceiling toys are not only lovely, but they may also actually have other benefits. Engage their senses for their development: Ceiling toys stimulate your child’s senses, especially the eyes. This is important as sight remains as one of the most important senses. Developing these properly at an early age can help children use their sense of sight more efficiently, such as the ability to quickly assess the environment and spot what they are looking for. Stimulate cognitive development through analysis: Another benefit ceiling toys could have is the stimulation of your child’s cognitive development. If the ceiling toys are actual physical objects that children can reach for, they can be motivated to find a number of ways to actually reach for their toys. This helps develop their creativity and both critical thinking and problem-solving skills. Calm them down: Babies and children can be super hyperactive at times that it can be annoying and draining for the parents and potentially dangerous for the children when they do things unsupervised. Distracting them with ceiling toys can help lower their energy and adrenaline levels to levels that you can manage. This also helps them become more ready for learning and interacting with others. Help children sleep easier and better: Ceiling toys, especially projectors, entertain children and at the same time make them feel sleepy. 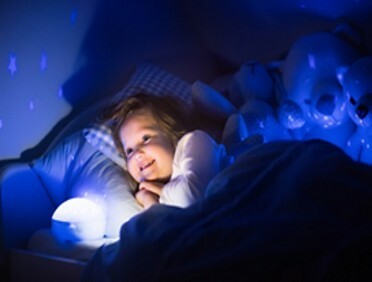 When there are moving lights on the ceiling in various shapes and sizes, children will most likely look at them until they feel drowsy and eventually sleep. 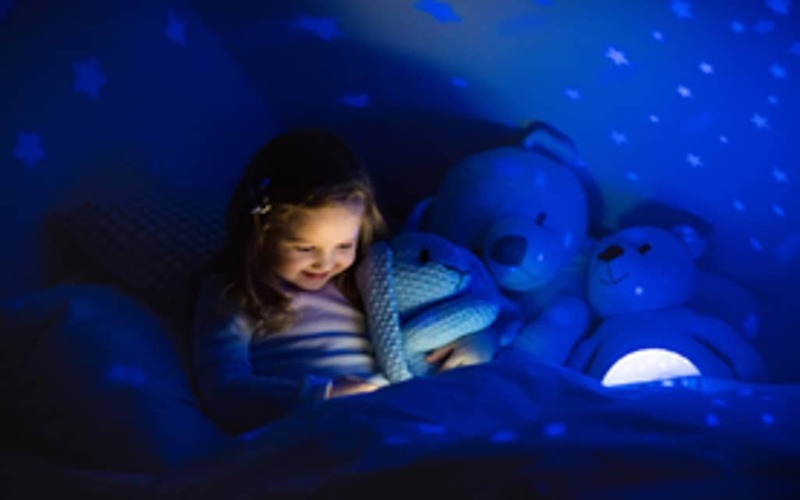 These light up ceiling toys are indeed very helpful, especially if your child is difficult to put to sleep and the usual methods aren’t working. Give children toys they don’t necessarily have to interact with: Toys aren’t just limited to physical objects and something to interact with. Children enjoy “imaginary” and intangible toys, too. Physical toys can really distract children from bedtime and relaxation. Ceiling toys such as projectors may not be reachable for children, but they can keep them engaged and entertained without the risk of hurting them or damaging the toy too early for a replacement. Give parents a bit of a break while kids are distracted: Ceiling toys are perfectly designed to grab the attention of children and motivate them to sleep. This gives parents an hour or two to themselves in order to relax. They can use this time to grab a bite, take a nap, or even just reconnect with themselves. Taking care of children is serious business, and parents need to have all the rest and energy they can get. Variety is key to getting your child’s attention: There are a wide variety of children’s toys; they come in different shapes, sizes, features, and uses. The same is true with ceiling toys, as there are both interactive and noninteractive options. For instance, baby mobiles can have ceiling toys that babies can try to reach. Meanwhile, some ceiling toys come in the form of star projectors that they can’t touch but can keep them entertained for a long time. Light up ceiling toys can be extremely fun additions in your child’s room. Not only are they fun to look at, but they can be very engaging and stimulating, enhancing your child’s imagination and development. Just imagine the worlds already forming in their heads just by looking at them!